Pelican sculpture. Sculpted in Wales and handmade in England. 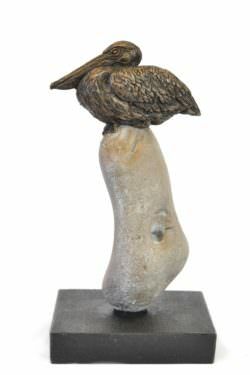 Open edition pelican statue from the ‘Charities’ small animal range. I created the Pelican sculpture because I live in an area of chalk and flint. 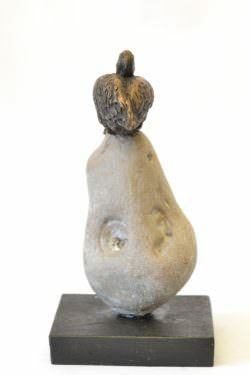 Flint stones appear naturally in beautifully gnarled and twisty shapes. I’d been wanting to use it in sculpture for a while and had been racking my brain over what kind of sculpture might work with it. The pelican was a choice that interested me because the bird itself is very sculptural. I still sell pelicans atop real rocks when they are requested, and I usually take an example or two to shows. 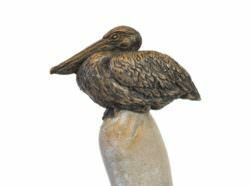 The Pelican statue is part of my Charities Range, and 10% of the proceeds go to the David Shepherd Wildlife Foundation. The wildlife conservation charity particularly focuses on Africa and Asia. It fights wildlife crime and protects natural areas. It also engages local communities in finding long-term, sustainable solutions to protect their native wildlife. If you would like to commission a pelican sculpture or a another animal statue, I have some information about bespoke sculptures and pricing on my commissions page. 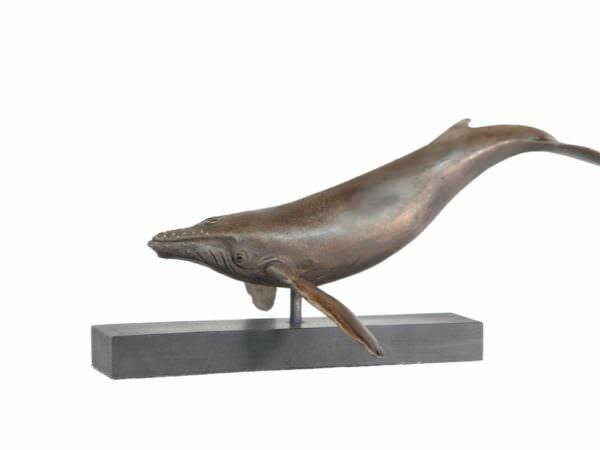 Suitable for indoor display and sized for the window-sill or mantlepiece. 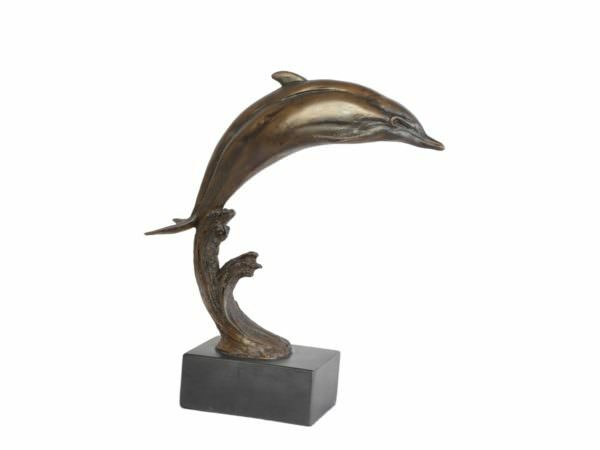 The Pelican sculpture is a perfect animal sculpture gift for a special occasion. 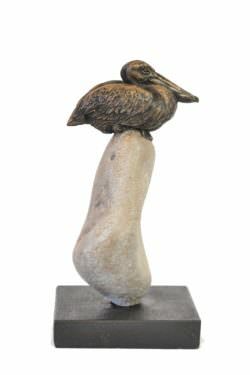 If the Pelican sculpture is out of stock, I can have one cast for you within 12 weeks. 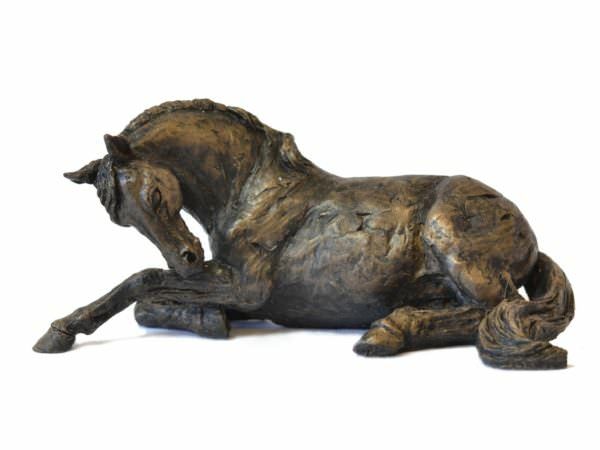 I can possibly have it cast for you in 4 weeks, if your sculpture is for a special occasion. 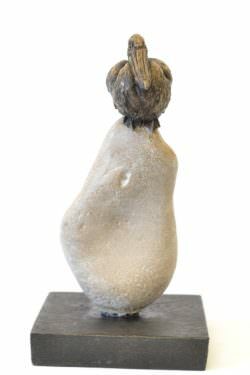 Please be aware when buying the Pelican statue for delivery to the US or other countries outside the EU, your local customs duties may apply, (this is most applicable to high value sculpture).